Linking up with Tara for her weekly Nail Files! I haven't been painting anything fancy lately because honestly, it all chips off. Unless I go with shellac but for realz, who's got time for that! 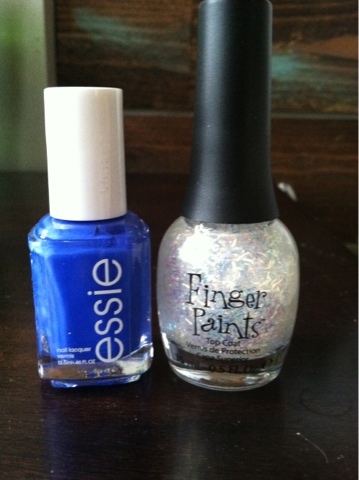 This week I used Essie, Butler Please and China Glaze, Sparkle coat. Oh and if you're wondering what your nails say about you? Head over to Helene's blog and check out her breakdown. "Do you like crittle gel?" it does kinda look a little sailor-ish but i like it and the small touch of glitter looks good, too. Haha you're the best. I love you're nails!! Hi Jess, just wanted to see what you are sharing in the Nail files link up. That's a pretty awesome pop of blue. I've seen this video before and it NEVER fails to make me laugh. Accent is spot on lol. loove that polish!! looks great with an Essie "beyond cozy" accent nail too! I love the glitter on the ends! I'm going to try that next time! 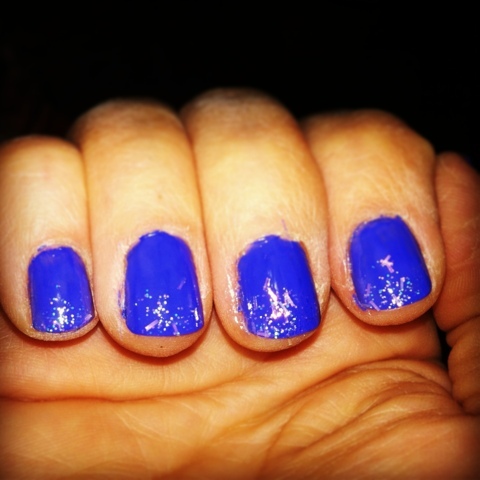 That is a fabulous blue, for the University of KY of course! But I understand - I hardly ever paint my nails anything too wild. I just painted them last night but forgot to put on a top coat and today it's already chipping off. I did a crummy job anyway so I guess it's just an excuse to fix em up better!